Publisher: Pocket Book, New York, New York, U.S.A.
Robert McCammon asks, &quot;What happened to those children of the sixties who learned the language of hatred, who swore oaths upon their bloodstained manifestos and vowed to never surrender?&quot; Most went on to other lifestyles. But Mary Terrell, a.k.a. &quot;Mary Terror,&quot; did not change. Her insanity deepened into schizophrenia, and in the late '80s she still calls herself &quot;freedom fighter for those without rights in the Mindfuck State.&quot; Hallucinating, heavily armed, and possessed by the delusion that an infant son will restore the good ol' days with her ex-lover, Mary steals a baby. But the child's mother is a strong, resourceful woman, and she recruits an ex-radical to help her. 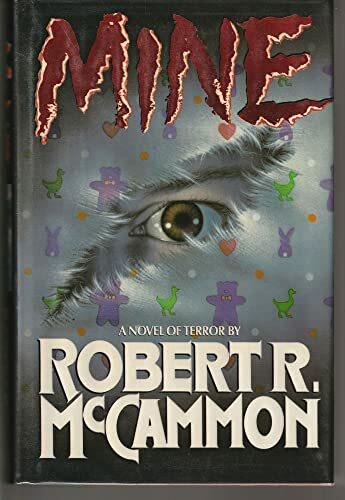 What ensues is a hair-raising chase across the American Midwest in wintertime, toward a final confrontation in which both &quot;mothers&quot; proclaim, &quot;He's <b>mine</b>.&quot; Not only is <i>Mine</i> an intense horror novel (winner of a Bram Stoker Award), but refreshingly, all three main characters are women.